Lots to See. Plenty to Do. AND DO. AND DO. AND DO. The view from Fort Boreman overlooks downtown and the Ohio River. THAT WILL OCCASIONALLY TAKE YOUR BREATH AWAY. It's a quiet little river town. Ten square miles of waters and rivers are located in the greater Parkersburg area. Building our future by BUILDING OUR MINDS. 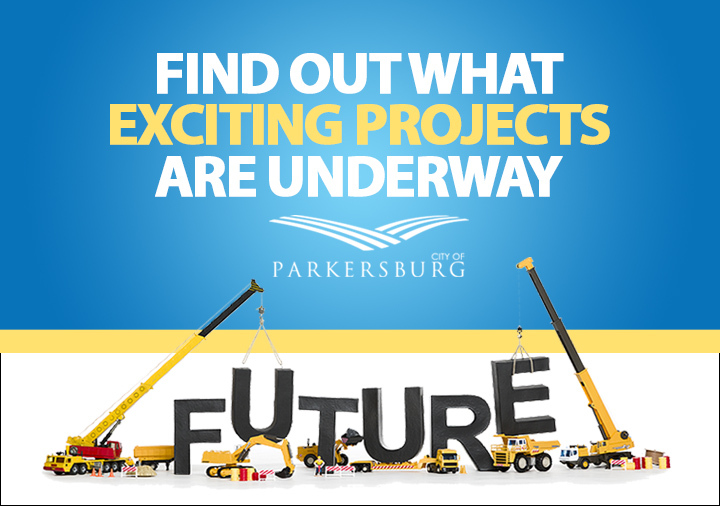 City improvements continually abound including the new South Parkersburg Library. HOW ABOUT RIGHT ACROSS TOWN. How far do you have to go for a quality education? Parkersburg is home to three nationally-recognized colleges and university campuses. Full adrenaline no matter what you like to ride. The Ft. Neale Skate Park is just one of Parkersburg's exciting venues for the outdoor enthusiast. WE SAY YOU ARE CRAZY NOT TO. Most people say you can't live in the past. Parkersburg is home to the largest functioning historic district in the state of West Virginia.